Like I said in the first revision note: 4-5 points on selected topics. Assumption: you already have read earlier articles. This is just like minute memory jogging. GS2: schemes, policies, intervention = fifty dozen schemes. I’m only making note of things related to manufacturing sector. Reason: MFG topic too hot given make in India. Even if directly not asked, still same bullets can be used for poverty, hunger, empowerment related questions in GS to 3 and essay as ‘fall back line’ when you can’t recall anything else. Next coming revision note: GS2: IR related Economy- bodies & agreements. fifty dozen policies but these useful to handle mfg/service sector related Qs. 5 sectors need license: Tobacco, Desi liquor, Industrial explosive, Hazardous chemicals, Defense electronics. 3 reserved for PSU. Rail, Atomic mineral, Atomic energy. FDI relaxed, 100% NRI investment permitted. To help M&A- MRTP removed, later CCI setup. Create 100 million jobs in a decade. 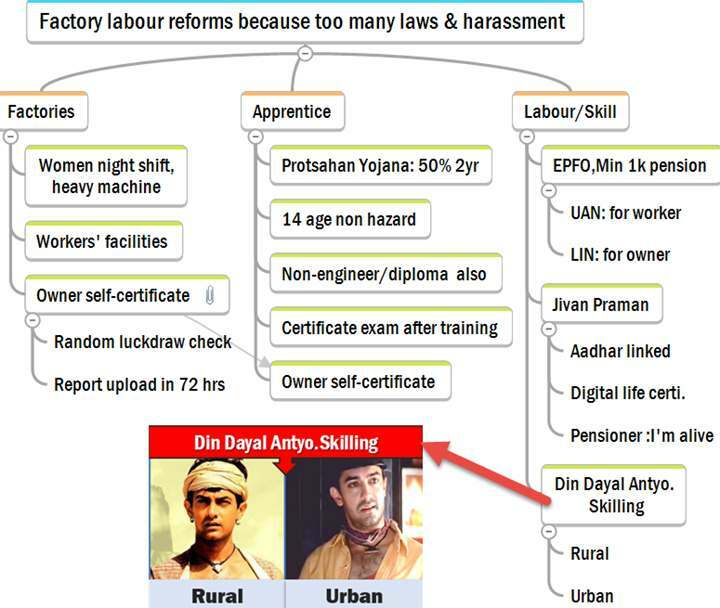 Skill Development via Polytechs=> Modi skill India, Din Dayal Antyo. Tax relief to startup co.s; skill Development via Polytechs. 1 e-literate person in each household.=> Modi Digital India mission for rural broadband. Target 2020: 300 billion$ revenue, 200$ exports. Survey Suggestion: separate Department for service sector, divest service-sector PSU, give collateral free loans to start up cos. Right to broadband with 2mbps speed=> NFON National optical fiber network to connect 2.5 lakh Gram Panchayat. Make Mobile a socio-economic empowerment=>UID link with SIM CARD. Future vision Apple-pay like system, swipe mobile to pay/transfer money. no more rural branches, BCA-agents. spectrum delinked from license. Have to buy it separately. Allot Spectrum in transparent, market determined price. Simplify M&A in telecom industry. Make India a global hub for telecom mfg., VoIP, Cloud computing. Modi=>Make in India. India became Agrarian to => direct service economy. Not much focus on mfg. sector. Agro gives 14% to GDP, employs 49% junta= disguised unemployment. While MFG gives 15% to Indian GDP and 35% to Chinese. IF MFG boost=>small farmers can shift to industry. poverty removal, land consolidation, farm mechanization=high agro output. 3D-Strength = democracy, demographic dividend, demand in huge quantity. World economic forum’s Global competitiveness index: 71. Simplify processes: De-licensing and deregulation=> New Factories bill, eBiz poral to apply online, industrial license valid for 3 years. Special team to guide first time investor. Focus on 30 mfg. sectors: autoparts, pharma-chemicals, leather-textile, mining-construction, food-processing-hospitality etc. Here we’ve potential to become world top-10; potential manpower and demand available. 1.Patent innovative product / process for industrial use.=> DIPP=>Patent office.Indian patent offices to connect online with other nations under Madrid Protocol, automated applications and approvals.=>followup special 301 report revision note for GS2-IR-Economy. 2.Industrial design registration for 10 years. Renewed again for 5 years. 3.Trademarks Automated registration of trade marks. Can be renewed for infinite time. 4.GI Statutory GI registry body @Chennai. Foreign companies can register GI in India under WTO-TRIPS agreement. Industrial disputes act: >100 workers=need Government permission before firing => contractual labour without social security benefits (SSB). Apprentice made to work like regular employee yet no SSB. Owner can be arrested for petty issues like no spittoon. Foreigners won’t come to Make In India, unless these issues fixed. Factory def: 20 workers if power used; 40 workers if not. Worker: Reforms in Overtime, paid leaves; right to cool drinking water, spittoon, restrooms. Canteen depending on (#) of workers. Owner: self-certification, can decide workweek, can’t be arrested on small issues like no restroom/cool water. 2000: 2nd National labour commission recommends separate law for small factories. New bill 2014: for MSME with upto 40 workers. Women can work on heavy machines. Small one-room “factories” can’t setup separate washroom, spitton etc. so they’re allowed to have joint facilities with other small factories. Companies can accept non-engineer/diploma; fix workdays; multiple companies can join to give pre-training. Web portal for self-certification; reasonable fines. Benefit: flexibility to company, skilled youth to help make in India. 2013 National crime report: >350 workers died in boiler explosion. Inspector to upload report within 72 hours. => less opportunities for manipulation and bribes. 3 types: one person, private (2-200), public ltd. (7-unlimited). BoD reforms: min.15 directors in public ltd, 1/3rd independence, 1 woman, 1 Indian resident. Independent directors: performance review by AGM, 10 year term limits. Whistleblower protection, internal and external audit mechanism, limits on CA about how many firms they can audit per year. CSR: 2% of last 3 years’ avg.profit. 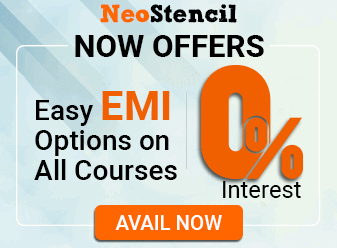 Selected companies only e.g. above 5 crore net profit /500 cr. Net worth, 1000 crore turnover. NFRA: Financial reporting authority. Set accounting standards, power of civil court, can punish CA and B.Com. ICAR doesn’t like it. SFIO: given statutory status, power to search-seize, other agencies need to handover witnesses and evidences. Following block covers only labour / skilling related schemes. 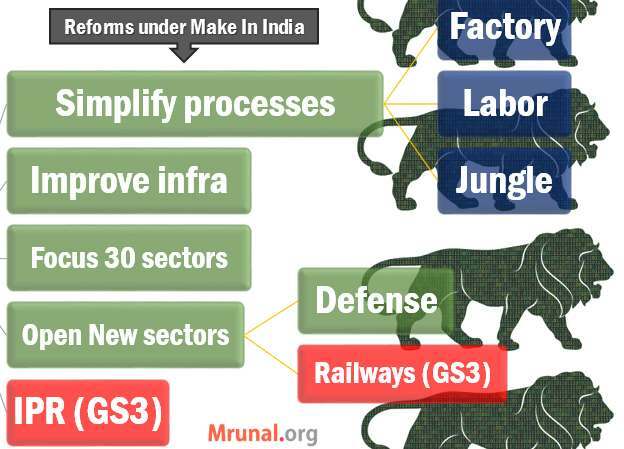 Urban infra Development schemes=>under GS3 Economy revision note coming soon. Why? : 57 million worker shortage in 1st world by 2020. SGSY=>NRLM=>Ajeevika=>skill components: Din Dayal Upa. Gramin Kaushalya Yoj. HUPA: train 5 lakh every year via Livelihood centres via NSDC Corop. Why? Pensioner need to submit physical life certificate every year- to show he’s alive and claim pension. Jivan Praman = Aadhar-based Digital Life Certificate. DEITY (Dept. of Electro.&IT) designed software. Software reads pensioner’s Aadhar card, biometric data=> uploaded to server=> digital life certificate generated. Pension giving babu can access online and release pension. Pensioner no need to physically visit office => less inconvenience and bribery harassment. Dignity to elderly. UAN: Uniform account number for >4 crore subscribers: can view account, transaction data, grievances redressal. No need to get new number when changing jobs. LIN: Labour identification number for ~6 lakh employers. So they can file online provident contribution, annual returns. Less inspector raj and harassment. Assured Minimum Rs.1000 pension, compulsory EPS for upto 15k salary. Smart card for unorganized workers. HR Khan Committee on how to use unclaimed money from post-office, PPF etc. for elderly welfare. In a move that could affect thousands of civil service aspirants across the country, the Centre intends to reduce the upper age limit and number of attempts of applicants with effect from 2015. Going by the new norm, the upper age limit will be 29 years for SC/ST candidates, 28 years for OBC and 26 for the unreserved category. There will be an additional two years for physically challenged candidates in each category. At present, the upper age limit for SC/ST, OBC and unreserved candidates is 35, 33 and 30 years respectively. According to information published on the website of the Department of Administrative Reforms and Public Grievances, the number of attempts allowed for candidates appearing for the Civil Services Examination would also be reduced to six for SC/ST candidates, five for OBC and three for unreserved candidates. The measures, recommended by the Second Administrative Reforms Commission (ARC) and almost entirely accepted by the government, were put up on the website a few months ago. The Centre has decided to retain August 1 in the examination year as the cut-off date for eligibility and not to review the structure of the examination (both preliminary and main) since this was only recently changed. MDMK leader Vaiko urged the Centre to withdraw its plan to bring down the upper age limit. Kya hua bhai? Purana news kyun copy paste kiye ho? The Hindu wale ko to nahi pata tha, kam se kam aap ko pata hona chahiye ki present upper limit 32 yrs age hai,30 wala kyun lekar aye ho. Fir se dusron ko tesn dene ka man hai kya? Friends gov. is planning to reduce age limit for IAS, although they are saying it was UPA gov.’s proposal and they are not going for this but no formal notification has come in this regard. We just demand that even if they want to go for this then they must issue such notification 3-4 years prior to that change. Do join this, so that we can raise our voice collectively. In todays THE HINDU there is again a news in this regard. Now Goldman Sachs demanding such move. So there is something friends and if Vaiko of MDMK partner with BJP Gov. Is oppositing this move. It means something is going on in gov. Circles. Once visit the facebook page “IAS AND THE AGE ISSUE” and join. We want to raise this issue in Parliament. What the modi sarkaar wants to do. What would be of the candidates who working and preparing for this exams. Mrunal bhai please allow me to post that link..
Sure Shinaaz we are in that process, urge all our co-aspirants to join the group ” IAS AND THE AGE ISSUE” for collective fight. We will not allow the gov. to play with our lives. Please clarify if govt. is going to reduce age limit and attempts as I am working in bank and try hard to manage my studies. This news distracts and is very troublesome. this govt is drunk on power and hubris….look at the german language issue!!! 282 today can easily become 28.2 next time around…..they are mocking the former leader for being reduced to 45 seats odd but if they persist in their idiocy they’ll be back to their 1984 levels of 2-3 seats….and why the hell is goldman sachs butting it’s nose in…the godfather of the 2008 recession has still to come clean on many counts. the worst part is i voted for the bjp this time backing all this acche din crap and all….and this is how they repay us but cutting opportunities and life chances and shoving a disastrous neoliberal agenda down our throats..
or i think they need a ready factory workforce of pliable “workers” for their PMJDY and make in india schemes….it’s all smash, slash and crash from now on. Even I am 28 yrs old, bt I dnt think in ur line. Sirf age kam karne ki kya rumour ayi, aap itna gaali dena suru kar diye. We r all shortsighted, 1 problem and we 4get the rest goodies. dat’s y a few hundreds ruled millions for centuries. We r alys divided 4 our self interest. Mrunal bhai plz don’t allow such rumor mongers to post comments. All they do is to divert the attention of serious candidate and distract them. Thanks. it is would not be done becoz lot of aspirent doing study if gov. take this decision unilateraly by not considering public opinion and opposition recommandation than this gov can’t be called as real democratic but ruling as autocratic. If this dicision implement than this will be great injustice with student those who are studing from long time .And pity injustice with unreserved category for only three attempt. No matter about obc/st/nt but gov should take wise decision so that lot of would not be faced injustice in attempt matter otherwise instead of no.of attempt to this category and age relaxation should there be real compitition like all must be equal in compititition on without any reservation not any age relaxation .Than this will real compitition. all are equal this will real reformatin inindian socity,. l be great injustice with student those who are studing from long time .And pity injustice with unreserved category for only three attempt. dwithout any reservation not any age relaxation .Than this will real compitition. all are equal this will real reformatin inindian socity,. hello sir…i m from gujarat..and i have been preparing for upsc from last 2 years..but still i m confused regarding medium of exam..as i heard a lot ab lang biased by upsc…my optional will be gujarati literature ….so plz help me…i want to crack this exam without thinking about my comfort zone…plz guide me sir is it right decision if i choose english as medium of answer.? bhai is baare me speculate karne s ekuch nahi hoga..if this decision came then the maybe judiciary gives 1-2 year grace…and if they not then nohing can be done..only thing in our hand is to study and make this attempt count..
6 sectors req. License – Drugs & pharmaceuticals also. Instead of getting worried over unverified news (rumours) we should spend our time in more positive manner(studying). No change in UPSC comes so abruptly ( Just last year the age limit was increased). It takes atleast 3 to 4 years. There are elections for some important states in 2016( UP, Bihar etc). Govt would not take risks so early. There is nothing wrong for a commission to give its recommendations. ( A young person can be better moulded by Govt to become an AIS officer ) etc. And the ASPIRANTS would definitely give their complete energies for a protest movement should such a step be taken. Has anyone yet got confirmation on mail of their receipt of CS Mains application? If handed over in person, even then we expect an electronic confirmation, I suppose. I am really worried for not getting a mail from UPSC yet. Mrunal, can you please guide. Yeah, I got it through mail even though I submitted directly in UPSC. Don’t worry. It will be delivered to you. In the worst case, you must have got the receipt from UPSC if handed over in person. That should be enough to get your admit card for writing mains. Which department does the Industrial design licensing?